Beautiful campuses, pristine landscaping, historic buildings, and new construction may blend perfectly into the campus environment. However, the lifeline that keeps the buildings going remains invisible and so often misses the attention it requires to support the visible campus. This lifeline, the Central Utility Plant (CUP), provides heating, cooling, and often electricity, essential services for maintaining a comfortable environment for the student, faculty, and staff. Most higher education institutions have been around for decades, if not longer. Typically, what began with a few classroom and administration buildings has now expanded to numerous, diverse buildings that may include athletic field houses, computer labs, and science and research buildings that have extensive, complex equipment requiring CUP support. A typical campus CUP includes boilers, chillers, electrical switchgear, pumps, backup generation, and control systems connected by thousands of feet of underground piping and miles of electrical and data cable supporting multiple buildings – the equivalent of a small town. The campus population expects their buildings to reliably remain warm in winter and cool during summer and to provide the electrical power needed at all times. While benefiting from a high-functioning CUP, few people understand the complexities involved in maintaining the comfort and efficiency they grow accustomed to. The distribution pipes connecting the CUP to the rest of the campus are typically underground in tunnels or direct buried out of sight throughout the campus. 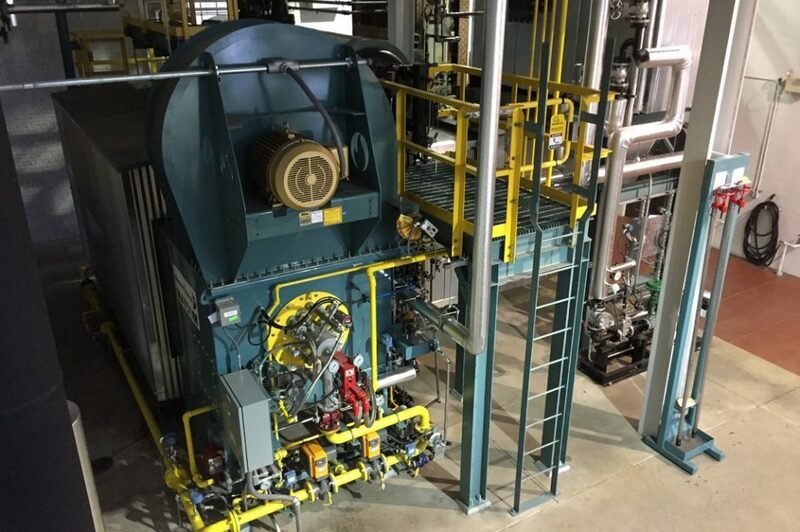 Boiler Systems – The function of the boiler is to utilize energy from fuel to produce thermal energy in the form of steam or hot water and supply it to campus buildings. To achieve this, boilers have controls, burners, fans, and heat exchangers. Chilled Water Systems – The chiller’s function is to produce a low temperature fluid that can be circulated throughout a campus to provide cooling. Like boilers, the chiller requires energy to make it happen. 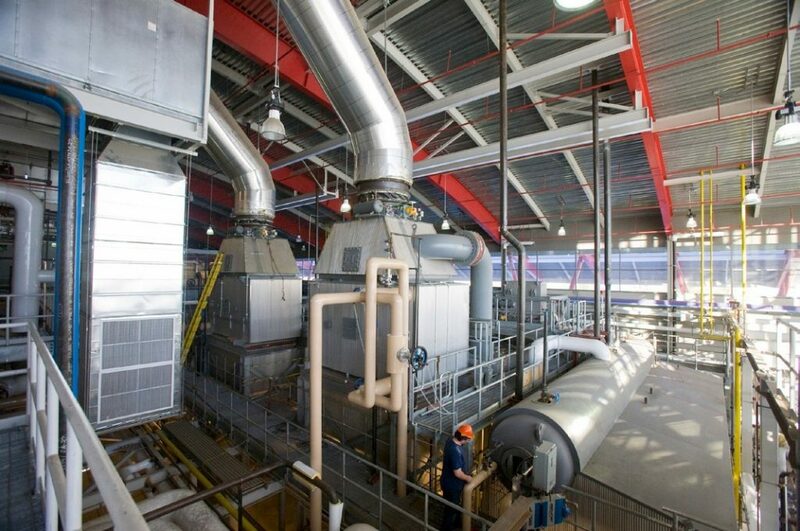 Components involved in chilled water production include controls, pumps, heat exchangers, and cooling towers. Electrical Systems – The electric system represents the primary utility service on which the boiler system and chilled water system rely. Without electricity, other utilities will be inoperable. Major components of a campus electrical system include the utility interconnection, feeder, switches, transformers, and distribution. Some campuses have electrical generation available just for backing up critical loads. Other campuses have enough electrical generation to provide power to the entire campus to operate completely independent of the local utility. Distribution System – The distribution system provides the means by which the thermal energy is transported throughout the campus. The system includes pipes of various sizes and materials, pumps, joints, and valves. Campus electrical generation also requires distribution which can be above- or below-ground. Any of the components within these systems can be vulnerable to failure. Rather than reacting when a failure occurs, a proactive approach not only avoids the emergency but also typically costs less. However, to be proactive requires understanding the equipment’s current condition in the form of a condition assessment. Determining the current health of your CUP is one of the most important steps in preventing unexpected system failures. Assessments can range from visual inspections to detailed measurement and verifications. The more detailed the assessment, the higher the level of certainty that potential system failures are identified. An in-depth assessment may include a vulnerability study that assesses not only the condition of system components, but also the impact of each component’s failure on other major pieces of equipment. Retro-Commissioning of the CUP is another approach to assess the systems. Retro-Commissioning involves a thorough, systematic test of all critical systems and controls to both validate the system, correct simple errors that can substantially contribute to poor system performance, and define larger problems and recommended solutions. The condition assessment can help prioritize specific components of the system and create a plan for repairing or replacing them. Complex systems require regular maintenance. Much like your car, appearances can be deceiving. Just because CUP systems are maintaining comfortable environments in the campus buildings does not mean they will continue to do so indefinitely. Most campuses have experienced growth and operational changes since the original design of the CUP. Like a car, the CUP systems cannot be ignored. Like any mechanical/electrical system, components wear out over time or may be operating beyond their functional lifetime. Maintaining the existing systems is typically more cost-effective then replacing equipment. When equipment does fail, it is important to know the financial implications: not just the cost of replacing components but also the cost associated with classes canceled or residences closed because of equipment failure and the costs of impacts to other equipment. Failure of any system can be catastrophic, requiring major repairs and significant outage. Even a shorter outage requiring minor repairs or adjustments will cause a disruption and be costly to campus operations. For example, if there is a major failure in the steam distribution system (for example, a pipe ruptures), it will impact all equipment being served by that specific distribution system. If it happens during cold weather, the failure could result in the closing of buildings. Electrically, there could be a failure with the switchgear. As with other major systems, the replacement parts might not be available or there could be significant delay in obtaining them. This failure could also demonstrate the vulnerability of systems and shutdown other portions of the CUP, resulting in outages for the boilers and chillers. Equally important to understanding the overall condition of the CUP is to educate others involved with the finances and budgeting of the facilities. They do not need to understand how to operate the CUP, but they do need to understand that the equipment is expensive and not available through a visit to the local hardware store. This educating process needs to happen now – before you have to request funding for equipment replacement. Give your financial staff a tour of the CUP, identifying major pieces of equipment and the role they serve in maintaining the comfort levels they expect in their buildings. Talk about age of the equipment and replacement cost and provide a financial plan to address future operations. What are the weak links in your CUP? When was the last time a condition assessment was completed on the CUP? What systems are vulnerable to catastrophic failure? Is your maintenance budget adequate? What is the capital investment in your CUP by major system components? While end users on campus do not need to understand CUP operations, those who manage the buildings must be proactive towards them to ensure daily operations continue uninterrupted. When users’ out-of-sight, out-of-mind mentality is properly supported, it isn’t such a bad thing. After all, it is an Education Institution and not a CUP workshop.